I keep listening over and over again. Very easy to understand, but not easy to apply my compassionate attitude to other's needs in daily basis in order to help myself to be happier. Until my mind and body get to the ultimate goal, I will continue to listen to this book. 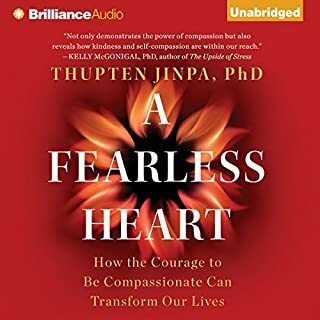 Compassion is the profound antidote for all of our mind and body health. Therefore, I highly recommend this book to whoever is suffering from the loss of life direction.